Synopsis: Meet Charlie and Nana! Charlie wants to learn all of Nana’s recipes so he asks her to teach him more recipes. Nana has an idea! 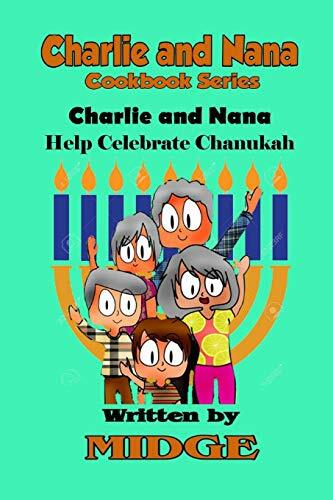 She will continue the cooking adventure by teaching Charlie how to make some favorite Jewish recipes to help neighbors, Mr. and Mrs. Stein, celebrate Chanukah. Join Charlie and Nana as Charlie gets his third cooking lesson. Follow along as Nana teaches Charlie how to gather ingredients, make Matzoh Ball Soup, Potato Latkes and Microwave Applesauce and learn the basics of cooking. Children love to help cook. In addition to being a fun story to read to your children, this book includes three easy-to-make recipes that little ones are sure to enjoy helping you make and eat!